One of our most popular narrow scaffold towers is the Boss single width. The frame itself is 110cm wide. Yet it provides a very firm platform from a recognised leader in the access industry. This is perfect for a corridor or commercial stairwell. Still too wide? We have limited stock of Aliscaff tower. This is 750mm wide. It comes as a climber frame system. The platform can alway sbe placed in the perfect working height for the project you are working on. For our narrowest tower try the stair tower. It comes in a 600mm wide frame so it can even be used in a domestic stairwell. 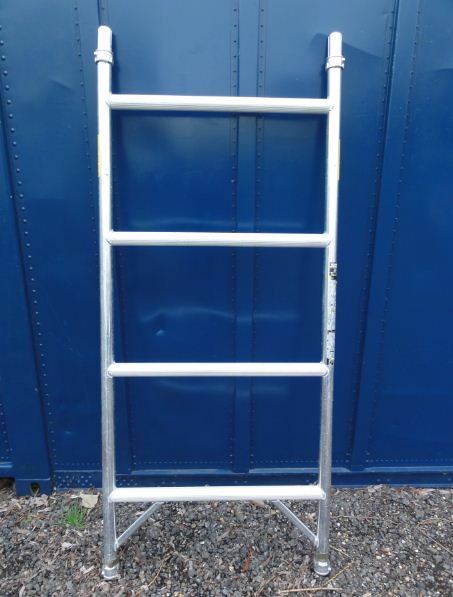 This can be used either on a stairway or as a standard tower. But keep in mind it can only used up to 2.2m platform height for a 4.2m working height.